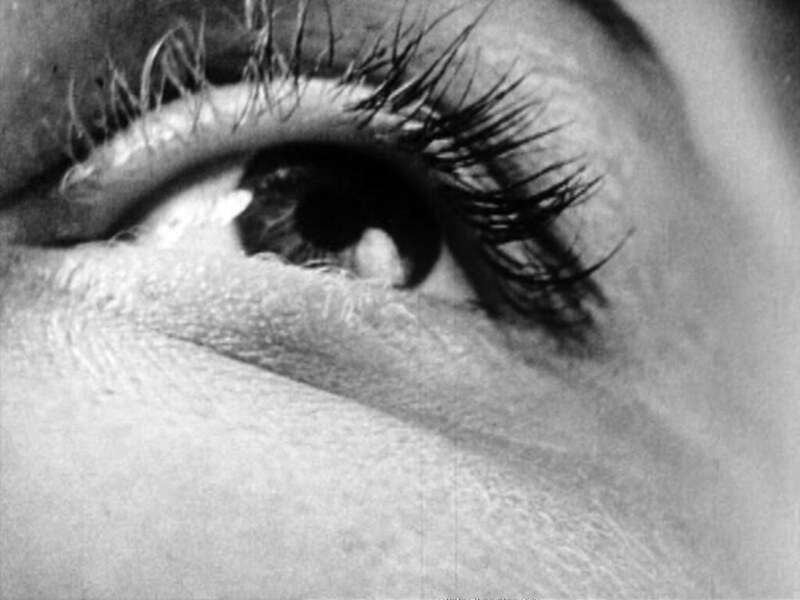 Four mesmerizing films that teach us a thing or two about how to see more deeply. In the midst of a highly tech-driven entertainment industry, audiences and film buffs alike are itching to find out just how far cinema can push the boundaries of simulated experience. By virtue of the latest cutting-edge camera technology and ridiculously complex CGI, filmmakers have grown to develop their own craft in blurring our perceptions of what is a digital fabrication and what is real. And while these visual accomplishments certainly should not go overlooked, it is important for us to (every now and then) separate our fixation from these spectacular stunts and remember that there is more to a good film than just impressive visual flair. Let’s take a look at four films in history and how their poetic nature has been able to capture our attention without loud surfaces, simulating a deeper sense of reality– one that can not only be seen but also felt. Hailing from the avant-garde sphere of art-house cinema, Maya Deren is often called the “mother” of American experimental filmmaking. Her background in poetry had an evident influence on her work and its ability to evoke expressivity. In her mind, “a poem creates visible or auditory forms for something that is invisible, which is the feeling, or the emotion, or the metaphysical content of the movement.” This is exactly what her films present to us: a thorough investigation of the inner, more secret facts of life. Through both plot and cinematography, this 13-minute short disorientates all sense of perception and actively challenges us to uncover some sort of answer to the puzzle presented on screen. All in all, this film’s subjective exploration of interiority and perception will give you a new pair of eyes, revealing the powerful role that our unconscious mind plays in reading the outside world around us. Venturing into the realm of French New Wave cinema, this movie confirmed the arrival of another vital filmmaker in history: Agnès Varda. As with many poetic narratives, this film is neither plot-driven nor entertainment-focused. Unhurriedly following the day of a woman (Cléo) who has just found out she has cancer, the film unfolds as a type of dream sequence, aimlessly wandering between questions of existentialism, time, and grief. 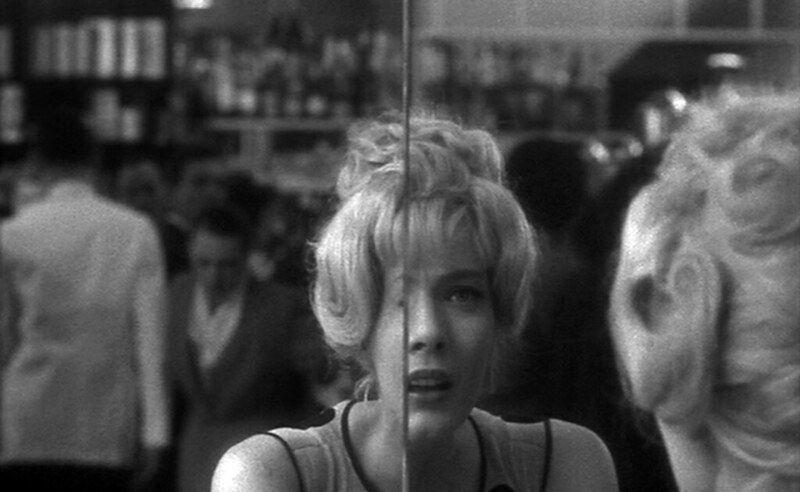 The use of mirrors helps to emphasize this moment of self-reflection and ultimately becomes a poetic movement on its own, causing Cléo to recite the verse, “being ugly, that’s death… As long as I am beautiful, I am alive, and ten times more than others.” In the end, the film’s feeling of self-awareness and consciousness (that is constructed through both mise-en-scène and character motivation) is what hits this experience on the head. Coming two years after Varda’s dramatic comedy and 21 after Meshes of the Afternoon, Antonioni’s first color picture was another tear in the fabric of film. This time, the poetic effect is created through its depiction of dizzying and alienated modernity. 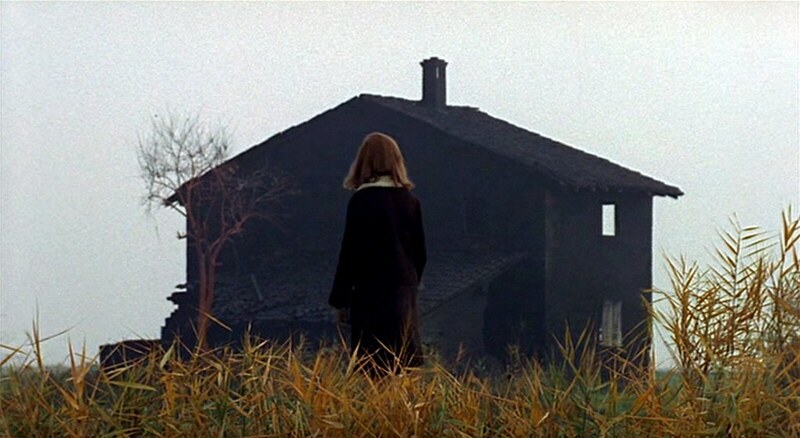 Shifting from bleak shots of industrial Ravenna to oversaturated landscapes of red, blue and green, it is clear that Antonioni began filming Il Deserto Rosso with a metaphoric vision for his shift into color. The first scene of the film shows Monica Vitti in a bright green jacket walking in front of muted grey factory smokestacks, briefly punctuating the dull background to then let the overbearing drabness prevail. It is only by looking deeper into Antonioni’s poetic use of color that we can come to appreciate and realize the sheer sense of loss, disorientation, and confusion that faced post-war Italy. 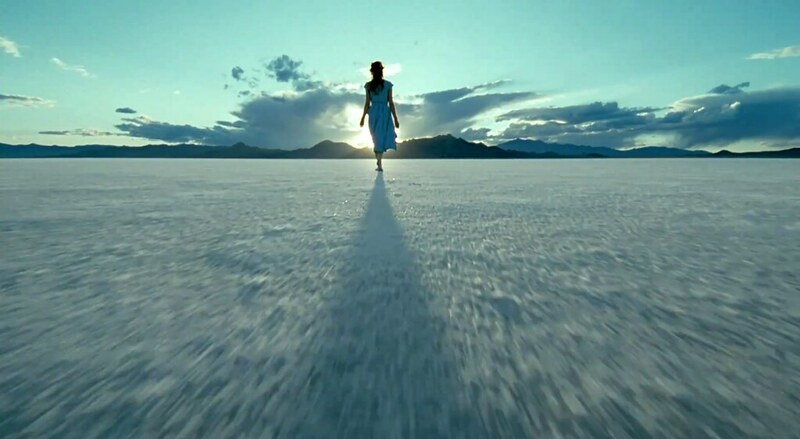 Everything has to end somewhere, so, with The Tree of Life, Malick kicks the poetics of cinema up another notch. Riffing on American middle-class suburban life of the 1950s, he weaves together a story about a Texan family who suffers a life-changing tragedy. It’s a film about chance; the serendipitous is in every day, highlighting the preciousness of the present moment. The poetic aspect of the film is rendered through its cinematography. So rather than being pulled in by flashy editing and software, we are dynamically immersed in the world of the characters through unbound movements of the camera and natural light, mimicking the experience of real life. Altogether, the images on screen seem to be grasped out of summer’s grassy fields and presented on screen, literally bringing the story to life and allowing it to unfold in real time as if, we too, were right there. Sarah Hughes is a Global Communications and Film Studies student at the American University of Paris. Originally born in England, and having grown up in Seattle Washington, Sarah's three favorite things include rain, coffee, and dogs.